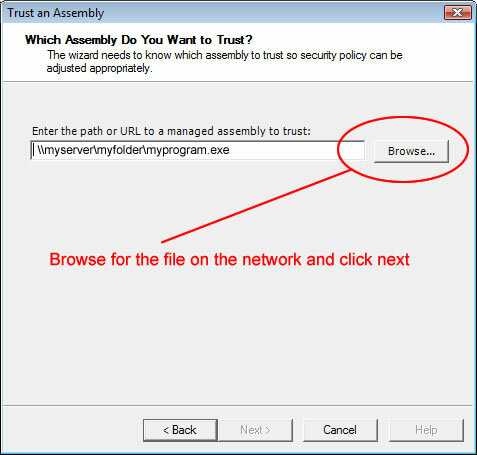 Here is a second way to set the security permissions of a .NET program file that will work locally but not over the network. Once again, if the program works locally but not over the network there is a good chance it has something to do with Windows security. After the release of Windows XP, Microsoft has really tightened up on there application security and sometimes it is more of a headache than it is worth. Now, you may have something programmed incorrectly like a path to a database or something. 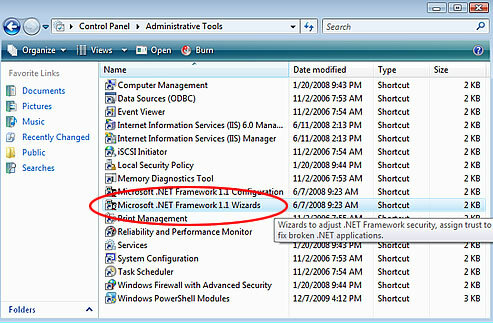 But before pulling your hair out trying to figure out what you did wrong in the programming one thing you may want to check first is the security policy of the .NET framework. Without the correct permissions, .NET applications may give you a very hard time when running over the network. 2. A screen like the following will display. 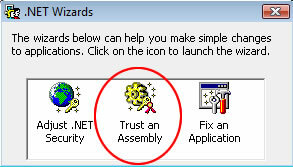 From here you want to click on "Trust an Assembly"
4. From here, you want to browse for the application file (EXE File) over the network that is giving you problems, and then choose "Next"
5. 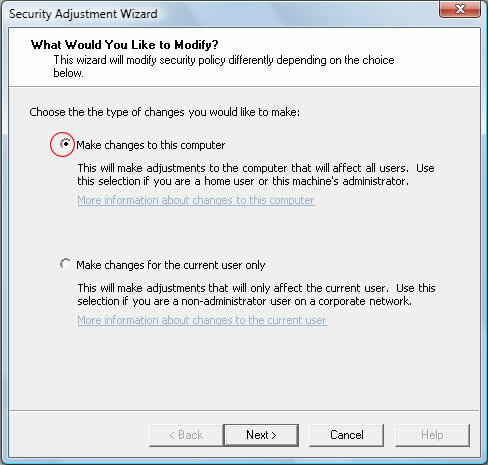 Make sure you change this security setting on the server and all workstations that you plan on using the application. 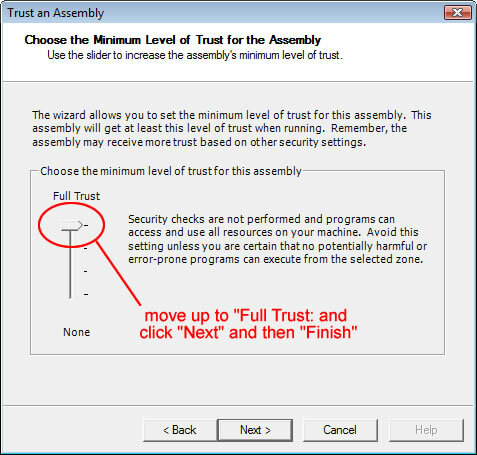 Move the scroll bar all the way to the top to full trust. Finally click "Next" ant then "Finish"